Wrongful death claims are brought to court in civil action suits, usually by a family against a person or organization that could be held liable for the death of a member of that family. A fatal accident of any type that was caused by negligence can be the basis for a claim: drinking and driving car accidents, product malfunctions, medical malpractice, abuse, and more. A wrongful death claim can be initiated in the first year following the death by a surviving spouse. During the second year after death, the surviving spouse and children may file a wrongful death claim. If there is not a surviving spouse or children, the parents of the decedent may file a claim. Wrongful death claims must be filed within only 2 years of the date of death, so it’s important to speak to our experienced Colorado Springs wrongful death attorneys as soon as possible, in order to understand what your options are. 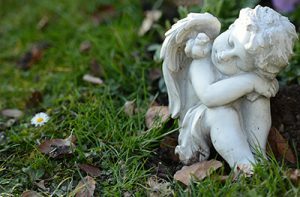 If you have lost a loved one you may be able to recover on a wrongful death claim. The types of damages you may be able to recover can include medical expenses prior to death due to injuries, funeral and burial costs, loss of the victim’s future wages and benefits including medical coverage, pension plans, retirement plans, mental anguish, pain and suffering of the survivors, along with loss of companionship, comfort and care from the decedent. In some circumstances family members may be able to collect punitive damages for punishment to the wrongdoer for gross negligence actions – punitive damages are a form of punishment and to discourage others from the same type of behavior. Wrongful death claims are complex and require a skilled attorney having a broad knowledge and understanding of Colorado Law. The Rector Law Firm has over 75 years of combined experience handling Wrongful Death Claims. Contact us today for a free no-obligation consultation. While we realize no amount of money can replace a life, you and your family do not have to be alone – we will work diligently to protect the rights of you and your family so that you can work towards trying to get back to as normal of a life as possible while we obtain the results you deserve.